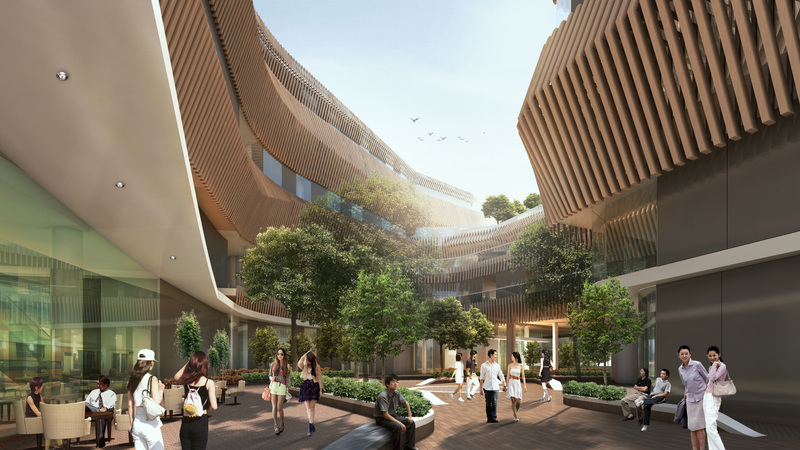 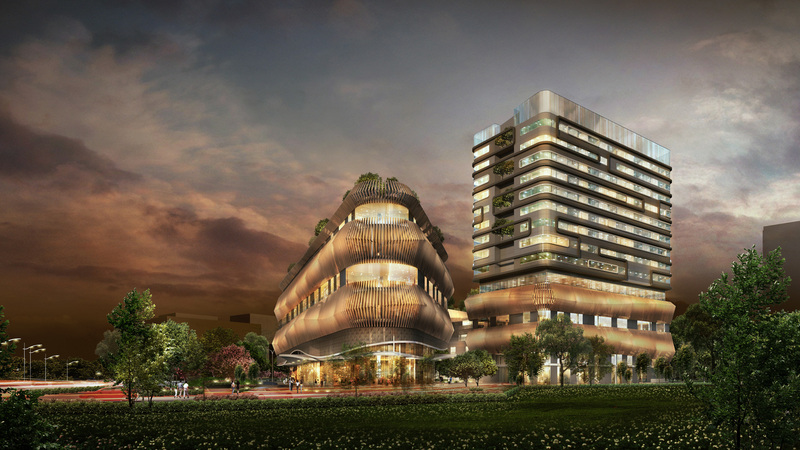 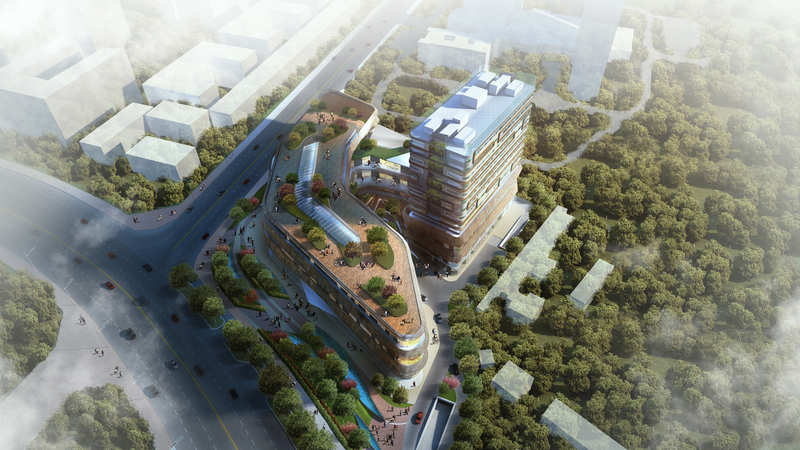 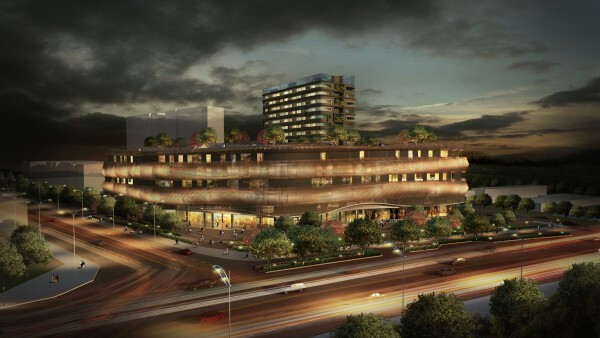 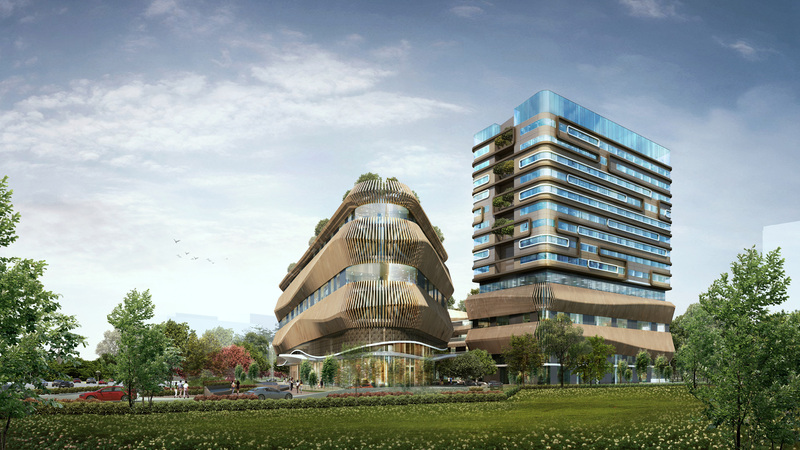 The proposed hospital & mall development sensitively respond to the city of Dujiangyan by respecting the low-rise developments in the surroundings. It corresponds to the scale of the context by placing the 5 storey mall near the main road and stepping up to the 15 storey tower at the back. 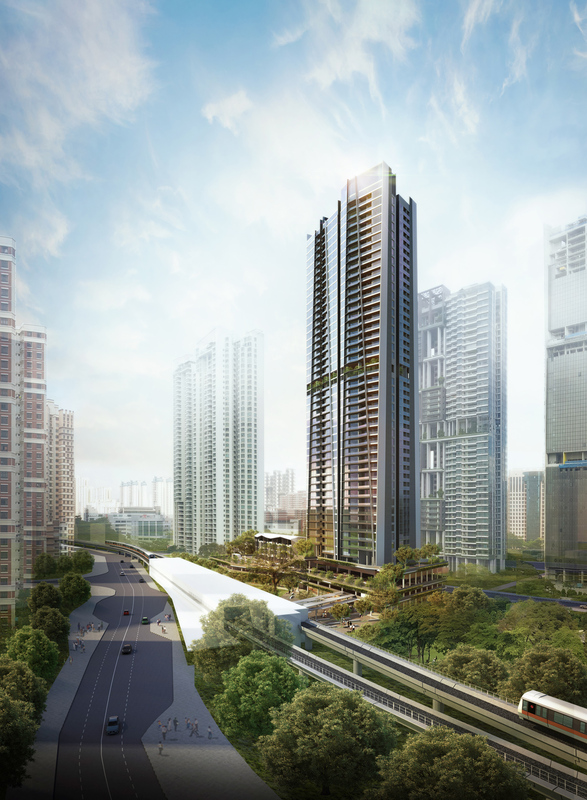 The integration of several public spaces such as the central plaza, the various levels of green terraces and the rooftop gardens create recreational spaces for the public in a sheltered and comfortable setting. 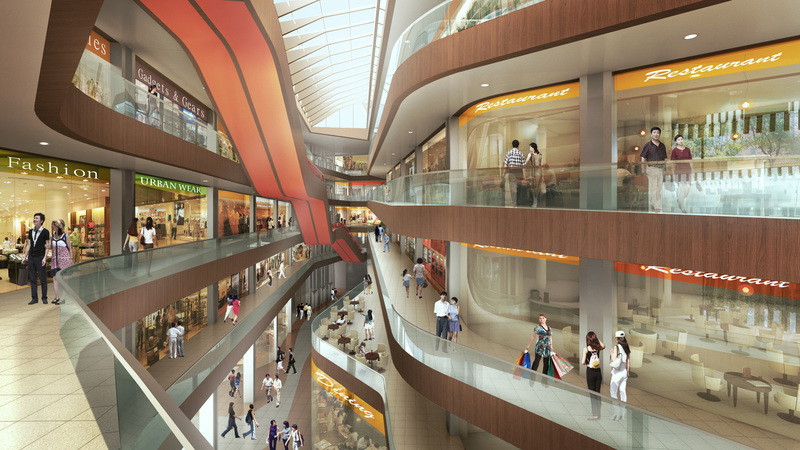 In an environment where there is limited number of public spaces, the mall provides a respite for human interaction in close proximity to retail convenience. The outlook of the mall is energetic and progressive, giving the city of Dujiangyan a boost of confidence especially after the mayor Sichuan earthquake of 2008. 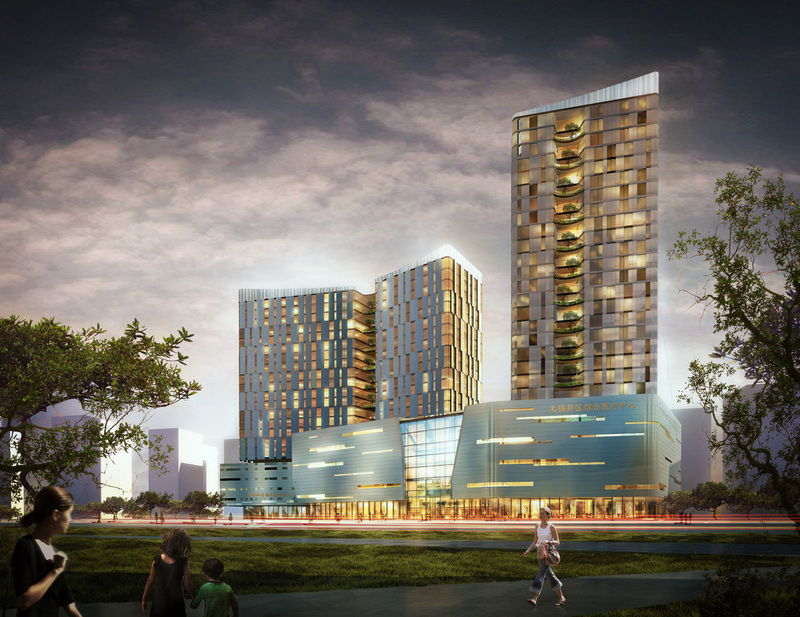 With the bold investment of the developer, the architectural design will give the city a new sign of hope and excitement.